If you truly want to serve the people in a culturally competent way, it helps to have an interpreter and child care. Dinner doesn’t hurt either. All three are offered at the weekly School District Budget trainings that were held in January and February by the Bay Area Parent Leadership Action Network (PLAN). The goal of the training series was “to demystify the numbers” so that community members feel empowered to pay attention and take action, according to Executive Director Pecolia Manigo. PLAN started off the series with a big picture session focusing on budgeting principles where participants learned how to create and balance a basic budget. The second session offered an overview of federal and state funding streams for public education. Session Three focused on school site budgeting issues. Session Four taught community members how they can demand budget transparency from public institutions and Session Five delved into issues surrounding district level budgeting. The training series was brand new, but PLAN hopes to refine it and provide improved versions in the future. Manigo hopes to offer the next version via webinar. In addition to the technical details of public education budgeting, PLAN also helps attendees understand the context within which funding challenges can be politicized and capitalized on. Such knowledge is especially crucial right now in Oakland, where District leadership has created a multi-million dollar fiscal crisis despite three consecutive years of rising revenue. “It’s not that not enough money came in, it’s that too much money was spent,” Manigo points out. Pecolia Manigo demystifies the school funding process during a free training offered by the Bay Area Parent Leadership Action Network. The trainings also empower participants with the ability to distinguish between facts and alternative facts. By the end of the training series, one of the participants was able to explain to me that, despite public claims by District officials that no cuts will come from school sites in the wake of the fiscal crisis, the mid-year spending freeze instituted by the District in January is, in fact, a cut from all school sites. The School District Budget trainings are just one way that PLAN seeks to empower parents, but it is a very significant step in mobilizing parents to influence decision- making in their public institutions. Parents can’t hold public officials’ feet to the fire if they don’t understand the process. PLAN is also part of a coalition that is trying to empower parents with information about the district’s search for a new Superintendent and to provide opportunities for them to take action. 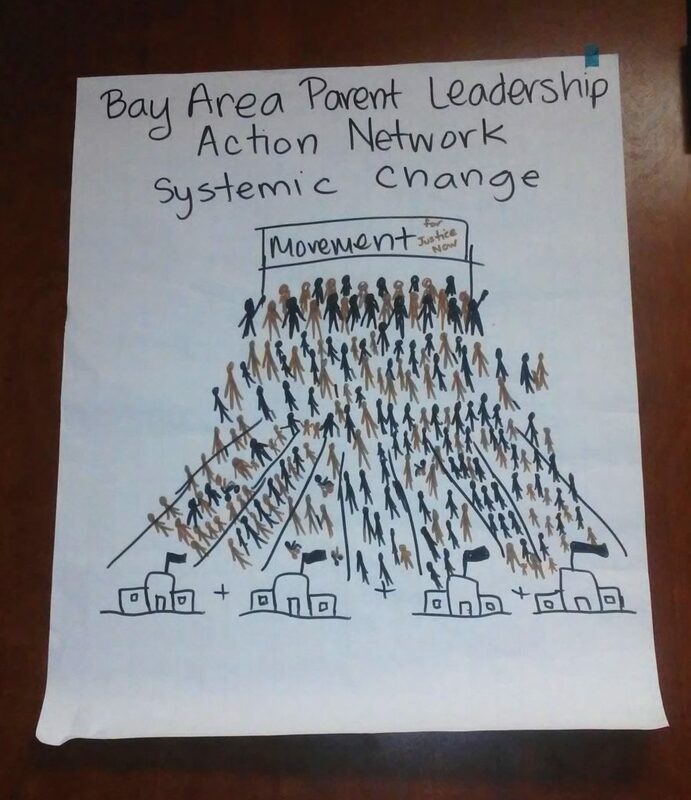 Since 2004, PLAN has been engaging parents through training and organizing around grass roots campaigns. PLAN supports parents in having a voice at their school sites and has provided district-level technical assistance in Oakland, West Contra Costa, and Sausalito Marin City. They also have programs that address early childhood development, childcare assistance, and leadership training. When it comes to public education, support for parents from the government is simply inadequate. This challenge can be mitigated in communities where families have their own resources to contribute, but the void is not easily filled in low-income communities where families lack those additional resources. Exacerbating that already stressful reality is systemic racism. “Parents of color are considered to not be experts and not helpful,” says PLAN Lead Organizer Enrique Valencia, who supports working class parents of color as they advocate for themselves. One example of his work is a current campaign to help families advocate for more translated materials and other language assistance from the district. Monica Scott Green, EdD, PLAN’s Family School Partnership Lead, mobilizes and supports parents who are engaging in campaigns to strengthen their individual school sites. She herself started off with PLAN as a parent volunteer who helped organize the first Oakland-wide Parent-Teacher Summit. She says that she got involved with PLAN because she felt that a lot of students, including her son, were not receiving the quality education that they deserved and needed. That’s where PLAN comes in. Under the current political climate in this country, people nationwide are being forced to become more vocal and active. With all of the same elected officials who created the fiscal crisis still in office in Oakland, it is good to know that PLAN is empowering and mobilizing families to pay closer attention and hold district leadership accountable, but much more work will need to be done moving forward.